Excellent Dr , she is warm and so down to earth , had as great experience and will continue going to her ..
My experience is always pleasant. I always feel comfortable. Awesome doctor! 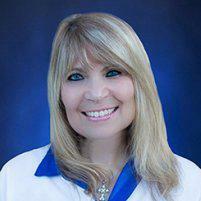 Dr.Jane Matos is very nice , friendly,professional. She is taking time to listen and to explain everything, I feel very comfortable with her . Office is nice and clean. Staff is also very nice,friendly and puctual !! I like patient portal, it's work on time, I can see all my test results and get all news on time I'll go back to her again. Dr. Matos is the best. I feel very secure when I visit her. She is very professional, she cares a lot about her patients. I have known her for many many years and I am very glad to have her as my gynecologist. I like how you take timecto know your patients. I also love your personality. Visited Dr Matos for my annual check up. She cares about her patients and offers options according to their needs. The process was organized and appointment times are respected which is very important for me. First time going to see Dr. Matos-Fraebel, she was very down to earth and easy to talk to...she was very nice. I am writing this review to help others experience the great care, true compassion, and the wealth of knowledge in the OBGYN World as I did, with Dr. Jane Matos-Fraebel. Dr. Jane Matos-Fraebel had a immediate solution for all my needs. It was as though she has a file cabinet in her head, all in alphabetical order. I left her office feeling confident and elated to know I found the "best of the best." Thank you, Thank you, Dr. Jane Matos-Fraebel. Dr. Matos is the most friendly, intelligent doctor I know. She's on top of her things and will always try to help me the best she can. I truly feel the most comfortable with her, and trust her greatly. One of the best experiences with a gyn i have ever had! Her knowledge is so vast yet she is able to speak to you in a way that you can follow. Her compassion fills the room.